Ah, the markets … If you want to do a great study on fear and greed, look no further. 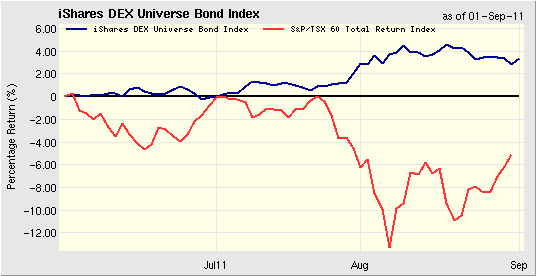 In summer 2012, I posted Is it better to have invested, and lost investing, than never to have invested at all? (There may have been a little bit of cheek in that title.) The market had taken a bit of a beating after hitting highs in early 2012. Investors were piling into bonds, driving bonds higher and higher. Everybody was piling into Apple, and Apple would soon make an all-time high. But, is this different than what’s gone before? The avalanche of information that surrounds the stock markets and much larger bond markets is daunting to say the least. Few can digest the information outside of financial professionals. Even Warren Buffett, by far the most successful investor I can think of, will tell you financial professionals don’t know exactly what the market’s going to do — and Buffet says he doesn’t care, in the short-term. Well, the flood of information’s always been there. The tools of dissemination have just changed. You still need to be intelligent about what you consume. If you have a good plan, and the conviction to stick with a good plan, you will do well as an investor over time. Being an investor is sort of like being a business owner. You have to be strategic, and you have to devote some time to future growth. That was true fifty years ago, and it’s true today. Mayan calendars, financial crises and the boys and girls who cry wolf will test the mettle of who you are and what you plan to do. It’s always been that way, and it’ll always be that way. If you’re avoiding the markets because you’re overwhelmed with information, talk of high fees and the fear that the end is nigh, remember there will always be reasons to set your hair on fire. Markets will correct. Markets will advance. And you’ll always be able to find bad news if you look for it. Get a strategy. Stick to it. Despite everything, the stock market is still the greatest engine for wealth creation the world has ever seen, and mutual funds are the single easiest investment for the average investor to participate in. The 1 per cent have known about equity markets for a very long time. Information about wealth creation has been widely available for a long time. While the world may be changing rapidly, especially with respect to communications, investing basics, for the average person, haven’t changed. In a sea of change, there’s still a pattern that holds true. 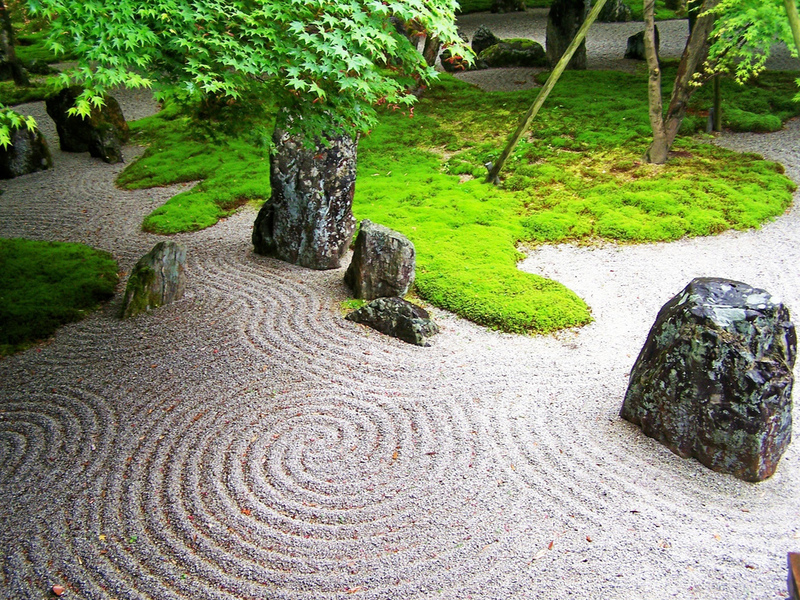 I once watched a gardener working on a Japanese garden. Imagine if he changed his plan every hour and began creating a different garden … Would he ever achieve the aesthetic harmony he set out to? What separates people from the rest of the animal kingdom is our ability to use our minds. If wealth creation, concerns over retirement or just understanding the great forces at work around us register with you, take a few steps forward. If you’ve ever watched a baby learn to walk, the kid who’s running like the wind a couple of years later first learned to move forward with a few wobbly steps leading to some serious tumbles as ambition and confidence grew. Want more information about investing? Click here for more about bonds/fixed income investments. Click here for articles about dividends/dividend-payers. Click here for a collection of articles about investing. *I’m a fan of social media when used judiciously. Please see my post Social cosmology: Social media is creating its own multiverse and the series of posts that came before it. **ETFs are wonderful products, but you need to have a trading account in order to buy them. If you’re struggling to keep track of your mutual funds, a trading account may require more time than you’re willing to invest. In Part Two, I left off discussing benchmarks on investment returns. I stressed that such benchmarks only reveal how your investment would have done if you invested all of your funds at the beginning of the period. These benchmarks assume you were inactive during the time period you’re measuring, and you did zero rebalancing during 2008-2009 or other significant market corrections — exactly the periods of time when you should be (or should have been) more active. While investors should have been rebalancing during 2009, research shows average investors freeze up during these times, or worse, sell. The worst case scenario is that they sell heavily. Now, let’s say you used that cash and bought equities around that time, which turned out to be the bottom or near the bottom of the correction. Your return would be considerably different. And this is why rebalancing is so important to the success of your investments, portfolio and retirement plan. If you’d been following a sound rebalancing strategy, you would have bought during the downturn in 2008-2009 because your asset allocation would have drifted away from your plan. • The market rose dramatically after this period and your asset allocation reached your target. You stopped buying. Your total cost was $460. The price now is $7. You now have profit of $30, called a capital gain. In reality, your transactions will be more complicated, and there will be dividend payments in there somewhere. But the simplicity of this example shows us how following asset allocation strategies with your investments will help you lower your Average Cost Base (ACB). Your equity component would have been, percentage-wise, less than it had been. Your allocation plan would have kicked in, and you would have bought the underperforming equity investments. Even if you did this more gradually, before, during, and after the correction, it would have lowered your average cost. One way for Joe and Josephine Average to get a leg up is to take advantage of what’s available to them. Tax-preferred or (deferred) investments and plans, and sound portfolio strategies included. But research shows they don’t. Volatility spooks them, and sadly, this will cost the average investor over the long-term. I had asked him why he didn’t have an RRSP because I wanted to understand how he thought. He later added that he had lost a ton of money in real estate (Canadians seem to have forgotten the real estate crash that happened in 1989-1990 – Americans have had a harsh reminder). Looking at real estate in this context reinforces my point of view on buying assets when they’re low. While it took residential real estate a long time to recover from ’89-’90, today’s real estate prices (supported by an extended period of low interest rates) prove that buying assets when they’re cheap is rewarding. Yet nobody wanted residential real estate in ’89-’90, and many developers lost their livelihoods during that time. Raising awareness about the investing habits of Joe and Josephine Average will help them over the long-term. They need to better educate themselves about market volatility and be more strategic in their approach to it. While this is easier said than done, it is one of the reasons the Warren Buffetts do better than the Joe and Josephines when it comes to investing and financial planning. Market volatility, understood properly, is your friend. Reminding yourself of this completely reframes the way you look at the market, your investments and corrections. Maybe your friend goes a little berserk once in a while. Maybe he’s a little impatient or a little irrational at times, but he’s still your friend. You know you can count on him when you’re down. 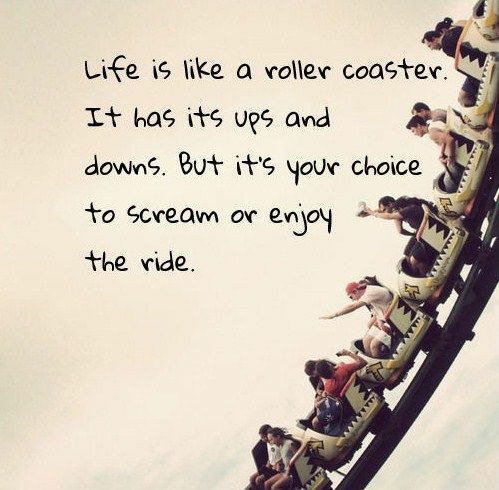 Looking at market events this way, despite difficult times, puts you in control. Just make sure the relationship is a long, diversified one. 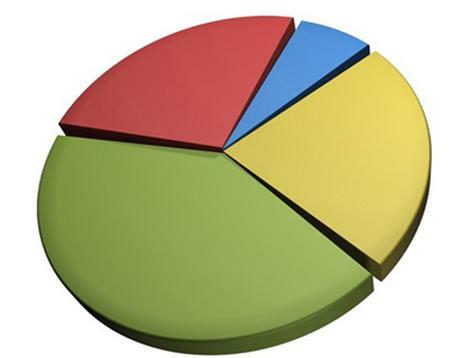 Can we simplify asset allocation? While there may be more to asset allocation than just stocks and bonds, stocks and bonds are the best starting points for most investors. 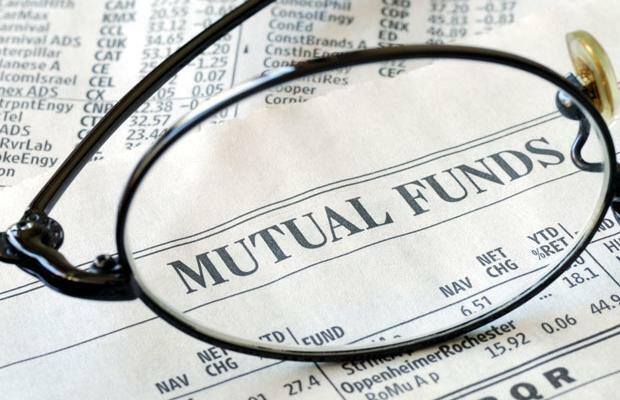 Anyone can become an investor through mutual funds or ETFs. What have most investors heard about stocks? Ok, now, in this hypothetical, let’s imagine that stocks take longer than average for that outperformance to take place. What can we do to bolster our portfolios? Because, although a 100 per cent portfolio of stocks should statistically outperform over the long-term, most investors are more human than they are instruments of logic. People are emotional. Since they’re emotional, what is theoretically true about investing may not hold true in real life. Volatility takes its toll. 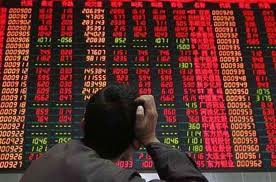 Big market drops herald big investor reactions. When bad news reaches a fever pitch about stock markets, many investors start to feel ill. Investors start abandoning strategy and discipline. The only things that have really changed are the names of the crises. Not to belittle the difficulties we face economically – these are challenging times – but we’ve always faced difficulties economically. With market corrections, and, with prudent planning, difficulties become opportunities. Seeing the opportunity in today’s markets may be better than running around screaming the sky is falling. 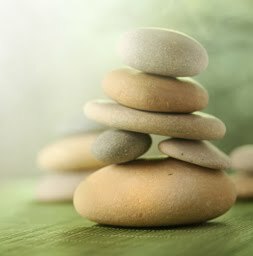 If your portfolio has a good allocation to fixed income products – if you have a mix you’re comfortable with – and you have a disciplined rebalancing strategy, you should benefit. There are times when stocks and bonds move up or down at the same time, but usually, stocks and bonds move in opposite directions. If your allocation is 65 per cent equity (stocks) and 35 per cent fixed income (bonds), then when your allocation drifts, let’s say to 70 per cent equity and 30 per cent fixed income, it’s time to rebalance. What do you need to do? Sell some stocks and buy some bonds. Sell the asset class that has outperformed, and buy the asset class that has underperformed. Everyone knows that, right? But it takes great discipline to do. You have to automate the process. Some investors worry that they’ll impede portfolio performance by selling stocks when they seem to be doing nothing but going up. True. This happens. Your allocation may change early in a bull market. But many investors struggle seeing future benefit in the face of the madness of crowds. The “noise” affects their focus and their resolve. It can make investors buy at the wrong time or sell at the wrong time. In down markets, too many investors only see current losses or declines. What might be the best rebalancing schedule theoretically, may not work for the average investor struggling to cope with “noise” during a market correction, especially, if it’s a severe correction like 2008-2009. While the financial crisis may have caused some grey hair, it was one of the best times in recent memory to test out your portfolio. Recent weeks also put some pressure on investor nerves while squeezing portfolio integrity. It’s times like 2008 – 2009 that make people happy to own bonds. 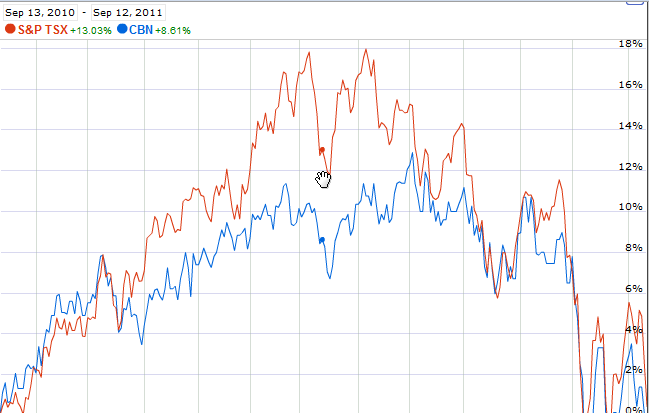 Bonds performed very well as stocks declined. Stocks usually outperform bonds over the long-term, but bonds add some insurance to your portfolio. As the market began the steepest part of its recent decline, we can see that bonds once again outperformed as investors positioned themselves for safety. The steady income from bonds and the hedge they provide against market drops often make them fund manager favourites. Why should the average investor be any different? Investors in fund companies have seen their investments outperform the market recently. Fund companies are getting bigger and bigger. Consolidation is the foundation for fund company stocks, and competition is pushing companies to bulk up. It’s about economies of scale and buying other fund managers that can complement holes in product lines. Royal Bank will buy Blue Bay. KKR has bid for Perpetual. AGF wants Acuity. Bank of Nova Scotia signed to buy DundeeWealth. CI Financial is purchasing Hartford. going to see further dividend increases. Will the trend in the fund sector of growing through acquisitions turn into growing dividends, too? In order to compete with other corporations, especially within the financial services sector, we may see fund companies increasing their dividends as well — especially if senior management thinks their business environment has stabilized. Who’s next and will fund companies continue to outperform? The Globe has a great chart in the following article showing dividend yields for fund company stocks.